Importantly though, in a nation obsessed with taweezes and tonsures, fasts and fasaads, the symbolic over the sensible, Gopala Gopala conveys a serious message this festive season – God is to be found in human beings. And, rather like Telugu films of an earlier age, it does so in a light and unusual way. The film has good message and for all the good concept, Dolly couldn't keep the interest of the viewers with gripping screen play and direction. Dolly made a daring attempt to remake Hindi hit Oh My God. He tried to stick to the original and added little bit commercial elements. First half goes of at good pace and humor with Venkatesh stealing the show. Overall, this is a film which is a must watch for all genres of audience and especially the family crowds. At the box office, this has got more than enough to become a big blockbuster. Kishore Pardhasani (Dolly) is not a revelation; this one is a faithful remake that has a few highs and some sharp lines. For all the apparent difference, it plays to the gallery. Gopala Gopala might not go well for the people who watched ‘Oh My God’ and for the others, its a decent one-time watch. Gopala Gopala is not the regular commercial pot boiler which goes instantly well with our audience. But the movie can be watched for the beautiful compatibility between Venkatesh and Pawan Kalyan. And also the message it carries. The range of the film will be decided on how the masses receive it. Outstanding performance done by Venkatesh and Pawan Kalyan. scenes and dialogues between Pawan Kalyan, Venkatesh superb and giving positive thoughts. Posani Krishnamurali, Mithun Chakravarthy, Ashish Vidhyarthi, Krishnudu and Shreya sharan are 100% justifies their roles. Director Dolly did a great job. Pawan Kalyan - The Only Saving Grace! GopalaGopala is a film made straight from heart.The film has an underlying message and is narrated in quite an entertaining way. Gopala Gopala will entertain people to certain extent. People who didn't watch original definitely like it and others can also watch to see two big stars entertaining screen presence. ‘Gopala Gopala’ is a well made film and is a treat for Power Star Fans. His stardom is sure to shoot up by one more step with this divinity filled role. Dolly and Suresh Babu took to the extreme step of showcasing Pawan Kalyan as the second NTR with one of the scenes. Going by the Pawan mania and fan frenzy, it was acceptable too. Commercially, here is a grand hit on the cards for this Pongal. Gopala Gopala movie is the official remake of Hindi movie ‘Oh My God’ . This movie is made on the concept which tells us the difference between rituals and spirituality. Director has done a good job and handled the script well and maintained the tempo till end. Music is one of the asset to the movie as all the songs are good and the background score is also very good. 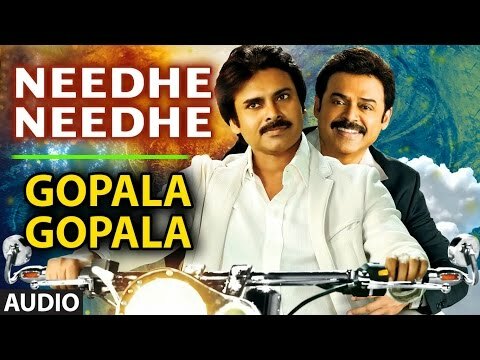 Gopala Gopala delivers 'Power'ful Message.Pawan and Venkatesh did their best to shoulder the film and they will play a huge role in the box office prospects of it. However, commercial result of Gopala Gopala will depend on how the masses embraces it. The first half of Gopala Gopala leave in splits with its humorous comedy in parts and the interval introduction of Pawan Kalyan make you believe that a good series of events are round the corner. What happens instead is complete stagnancy in the narrative. Frankly, one just doesn’t get moved in the manner Kishore Kumar would have expected from his audience. Even look of the film borders on the artificial rather than the real or the sublime as the original. With a good and confident story and with high level star cast, the film makers of “Gopala Gopala” didn’t leave a single stone unturned. This flick may get maximum collections in this season and as per the trade talk, 70 Crores collection mark is estimated to be the main target for this venture. Pawan Kalyan’s ‘Act of God’ proves to be breath of fresh air in this faithful remake! On the whole, Gopala Gopala is a film which is made straight from the heart. This film has an underlying message and is narrated in quite an entertaining way. Icing on the cake are the stunning performances by Venkatesh and Pawan Kalyan which make this film a thought provoking entertainer during this festive season. Gopala Gopala is a very good family entertainer film and don’t miss the film for this festival season. Visit Gopala in the theatres nearer to you. Even though its a remake movie, Gopala Gopala is a must watch as it is a hilarious entertainer. Watch it for Power Star and Venkatesh. Despite the flaws that glare us in the face, there are plenty of reasons to root for Gopala Gopala. Gopala Gopala is good message oriented film and pakka family entertainer .definitely one time we can watch it. Pawan kalyan fans will enjoy it venkatesh fans will like it overall no will disappoint after watching it. Shriya Saran is wasted while Bollywood actor Mithun Chakraborthy has no prominence. Posani provides few laughs. His role as Swamji is hilarious.